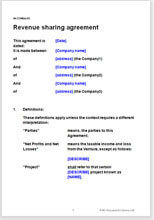 This agreement is suitable for defining and clearly formalizing a relationship between two parties (individuals or business entities) who seek to collaborate with each other to contribute by way of their specific skill sets in a revenue sharing arrangement for performing on and accomplishing a particular project of any nature including in the Information Technology segment. The one that we have drawn and placed here for download is the one that takes care of every legal and general commercial aspect of an arrangement in a Collaboration or Joint Venture for a particular project while covering all the eventualities of the concept. The document is suitable for international transactions and is good for indigenous arrangements as well. There is no conflict of jurisdiction and the document can be used by parties living and working in two different jurisdictions. There is little or no statutory regulation relating to an agreement of this nature, so the parties can make more or less what deal they have chosen. 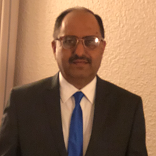 Any individual person, company or firm arranging terms for a particular project/venture in manufacturing or service industry with another individual, company or firm in India or abroad. There is no bar for the parties exercising different legal status e.g. an individual entering into an arrangement with a Company or a firm or vice versa. Dispute resolution and other miscellaneous provisions.